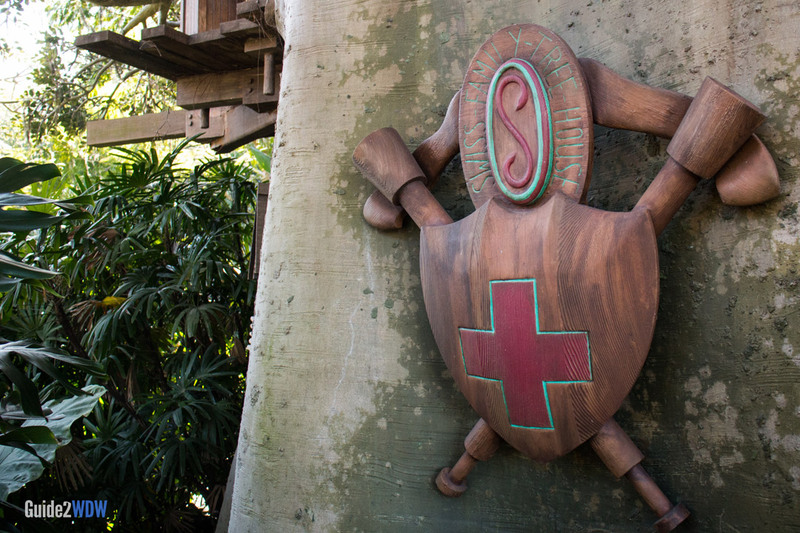 Walk through the Swiss Family Robinson Treehouse at Magic Kingdom. 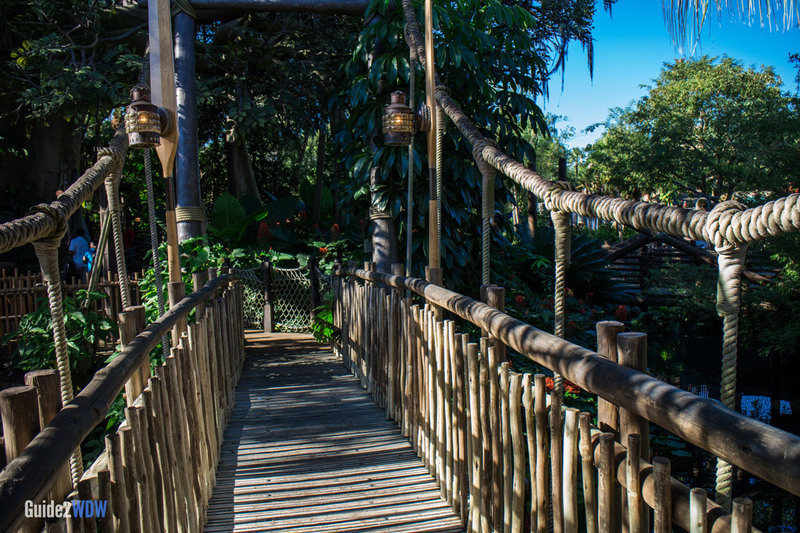 Enter a full-life recreation of the Swiss Family Robinson Treehouse. 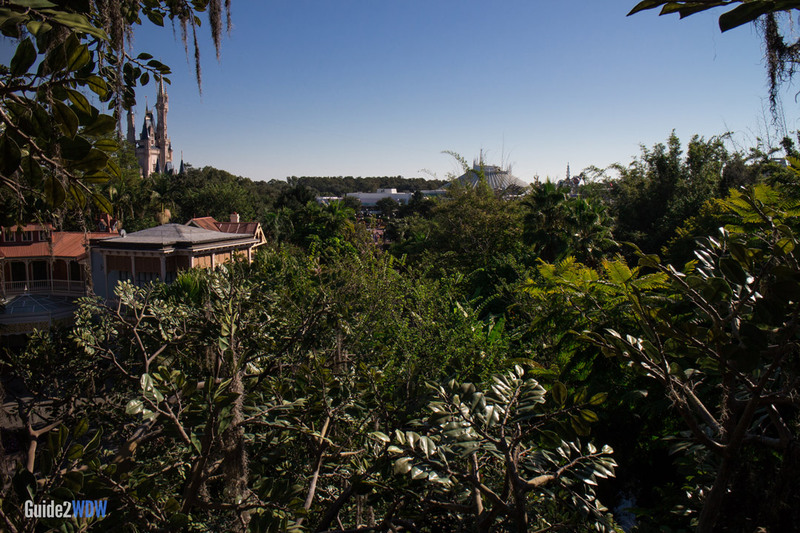 Kids and parents alike will find the detail in the Treehouse stunning, and this attraction features some of the best views in all of the Magic Kingdom. While it’s not as flashy as the E-ticket mountains, this is an often overlooked gem, and it’s a great way to spend 15 minutes during your day at the park. 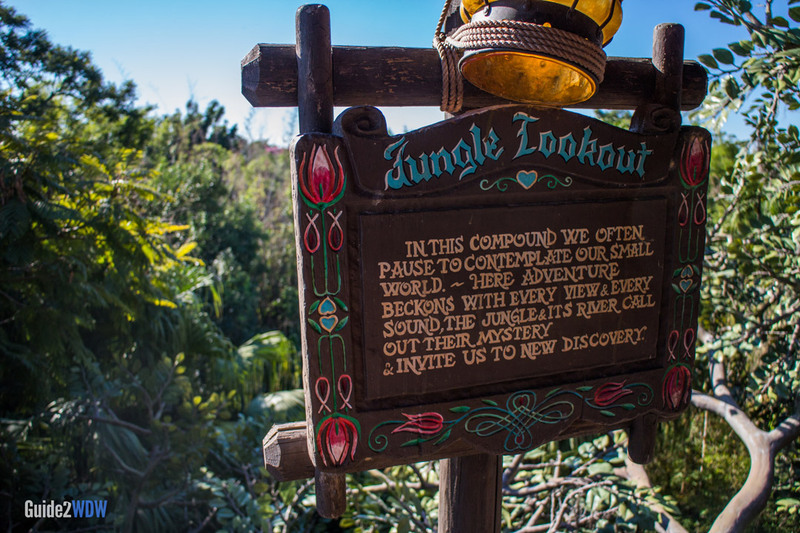 Going through Swiss Family Robinson Treehouse does require walking up and down many stairs, so it may not be for all guests. The tree is completely man made. It is made of steel, concrete, and stucco. 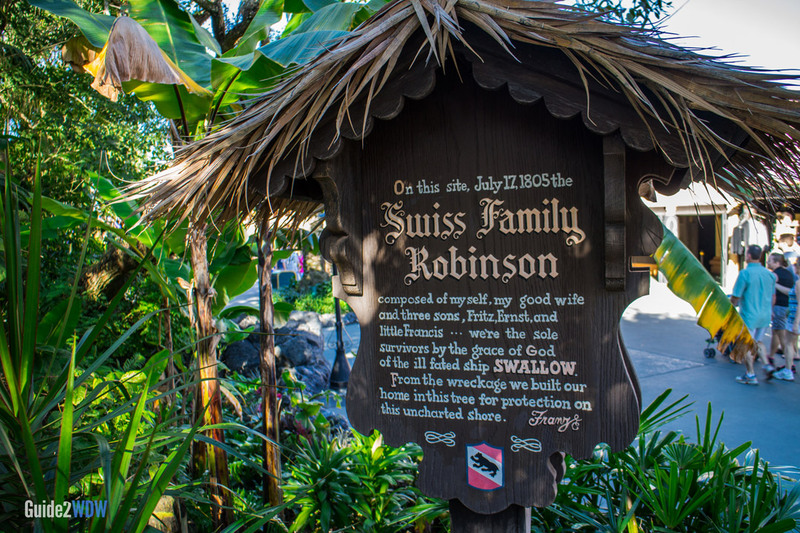 This is based off of the 1960 Disney movie, Swiss Family Robinson, which is based off of the book of the same name.